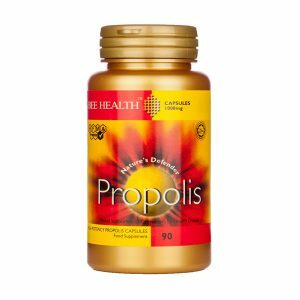 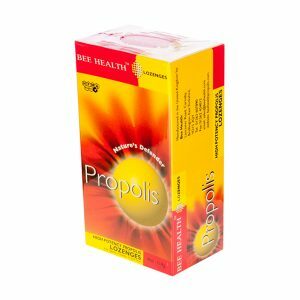 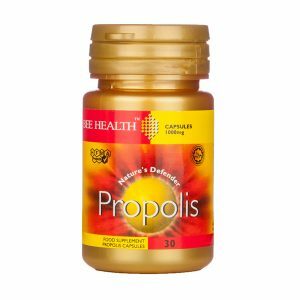 Propolis is a natural product collected by bees from certain trees and plants, and is used to seal up the hive, protecting it from the outside environment. 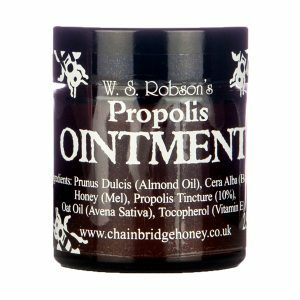 It has been used as a remedy for skin problems, wounds and infections for generations. 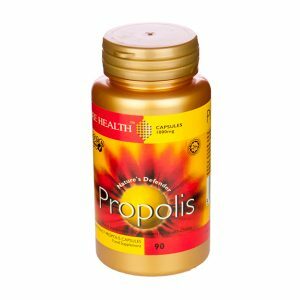 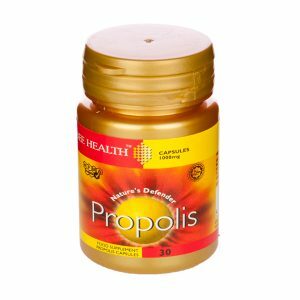 Propolis is also believed to promote heart health and strengthen the immune system. 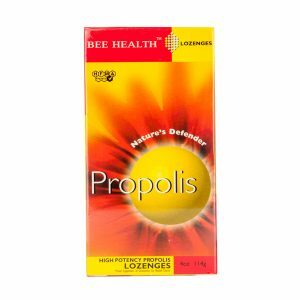 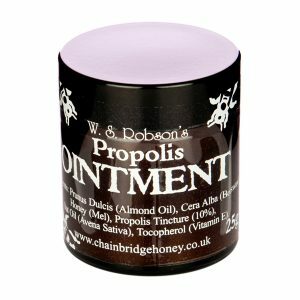 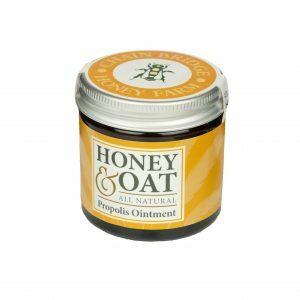 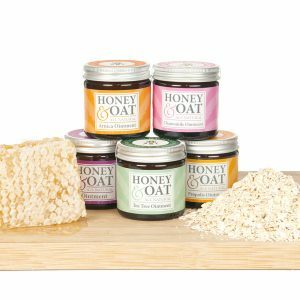 Old beekeepers recommend a piece of propolis kept in the mouth as a remedy for a sore throat!